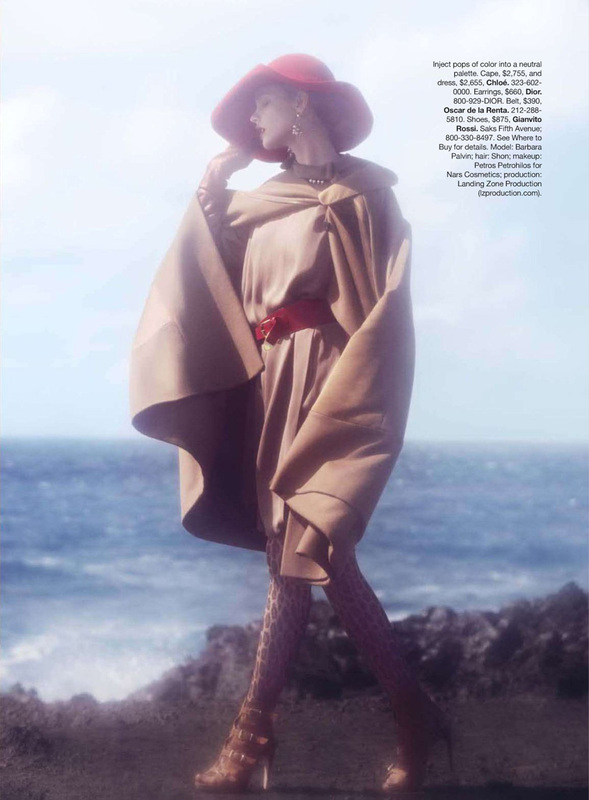 May’s Harper’s Bazaar US takes a look at the pre-fall collections with an elegant spread by Benjamin Alexander Huseby. Starring Barbara Palvin overlooking the sea, fashion editor Jacob K highlights the trends of crimson red, animal prints, and tailored suits from labels such as Armani, Moschino and Givenchy. this looks very literally like a late 80's vogue editorial. i love some of lighting but the styling is very literal and dated feeling. i would love to see this feeling interpreted with more modern or understated makeup and hair. agreed, but its harpers baazar [US] can't expect too much from that publication. when i saw this in the magazine, i fell in love. I fell in love with this immediately. This editorial is glamorous and exudes elegance while still highlighting some of the flashy and more exciting prints and accessories for fall. Absolutely stunning from start to finish! Yay, another Hungarian name in fashion. I kinda like the fact that this look like an 80's editorial. Barbara looks too much her age to really pull this off. Would have rather seen a more mature looking model. She gives me a Brooke Shields vibe. Which is always a compliment. The shot of her where she is wearing the red trench coat and standing on the rocks while wearing those platform stilettoes is really gorgeous!